The ultimate aim of the research and policy presentations during APEC study centers consortium conference (ASCCC) is to enhance people’s livelihood within respective economies. In concluding the ASCCC yesterday, conference chairman and director of the PNG National Research Institute, Dr Osborne Sanida said the intense use of digital technologies are important for creating opportunities for inclusive growth and social and economic development. “We had good discussions on innovation and technology. Technology is vital for inclusive growth and development so the question is how we can promote opportunities that technology brings and also address the constraints so that we can use it in a positive way. “Going forward, this conference will have both immediate and non-immediate results, immediately, the conference output will be presented as a report to the SOM Chair. 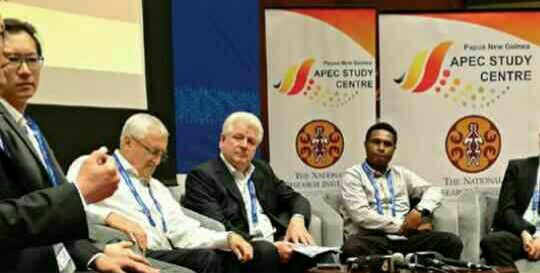 “The report will also be given to PNG APEC Study Centre and to Chile as the next host of APEC,” said Dr Sanida.